Soon it will be Yom Kippur. But I’ll probably be eating a scone with my morning tea as usual. I want to say: this year I won’t be fasting because my husband is away for a week and I’m already in a survival mode alone with two kids. Food is my sustenance and one of my comforts. I can’t afford to give it up right now. It feels good to say this. I imagine a small crowd of understanding non-Jewish individuals nodding their head in support and understanding as I explain to them, that THIS YEAR I’m not fasting. But, who am I kidding? I didn’t fast last year or the year before that. Or the one before that. In fact, I can’t remember the last year I fasted, but I have a suspicion it was many years ago. I was probably still in Israel, in my late teens or early twenties, inspired equally by the unique Jerusalem Yom Kippur quiet and the perpetual teenage weight-loss goals, claiming that I was “killing two birds with one stone” by fasting. In Jerusalem, no driving happens on Yom Kippur, except in life-threatening situations, kids occupy the roads of the city on their bikes, scooters, and on foot. Stores are closed, tired hungry but calm people clad in white garments and canvas sneakers move slowly along the streets, spending valuable energy only to transport themselves from home to synagogue and back. Many people who never go to synagogue do so on Yom Kippur. Many people who are completely secular otherwise fast on Yom Kippur, even if they don’t go to synagogue. My mother-in-law, who knows little about Judaism, fasts on Yom Kippur. My husband fasts on Yom Kippur and goes to a synagogue (the only day of the year when he does that). Why not me? Why am I eating a scone and don’t feel in the least like I’m being a bad Jew? My reason is not that I don’t want to or don’t think it’s right or that I think it’s too hard. My reason is that I don’t feel it. And if I don’t feel it I can’t do it. Every time in the past when I set out to fast on Yom Kippur or to not eat chametz on Passover, I lasted exactly two hours, after which I always had the question “why?” ring in my head so loudly that I always quit, not being able to find a satisfying answer. Why? Because that’s what Jews are supposed to do, because it connects me to my ancestors who did the same for thousands of years, because it makes me a part of something bigger… I know, I know all these reasons but I don’t feel them. I don’t feel that going hungry for a day makes me a better person or a better Jew or more connected to my ancestors. Maybe it’s a silly way to approach it. Maybe many people don’t feel it, they just do it, without questioning, trusting. Because that’s a large part of what Judaism is about: it’s ok to question things, but you still do them. I know it’s wrong to assume that most people who observe traditions feel connected to them all the time, or do it effortlessly and naturally. For most, it’s probably an effort like it would be for me. Maybe you just start doing it and then you start feeling it later, or you start feeling it as a result of doing it, not the other way around. I don’t know. For me it’s also the question of belonging, and what feels like “mine”. 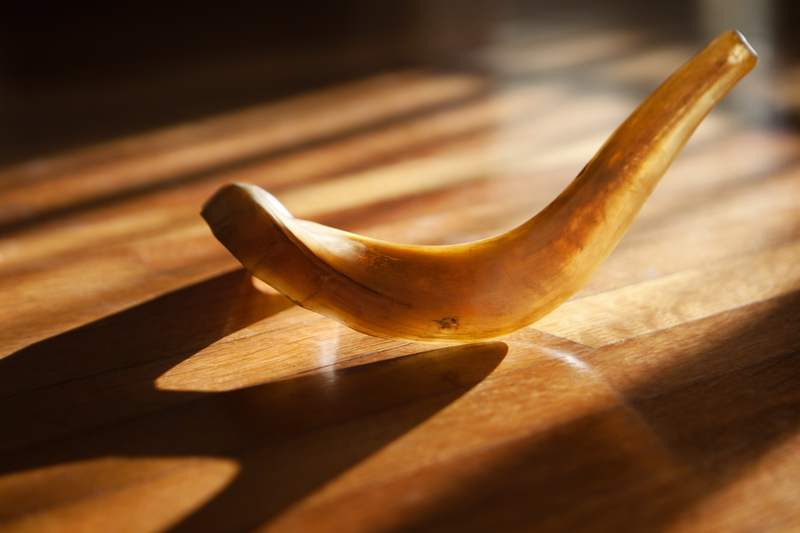 There is no question that Yom Kippur and other traditions feel like they are “my” traditions, in a way that Easter, say, doesn’t, but still they are not mine in the sense of being an integral part of who I am. I observe them as if from the outside, always in this unsure dance around them, never fully giving in, never saying “yes”, but also never leaving. Maybe the problem is that I didn’t grow up with Jewish traditions. When you grow up doing something regularly, it becomes an integral part of who you are. So that if you stop doing it, something would be missing. Do I feel like something is missing when I don’t fast on Yom Kippur? Not really. But I still feel the urge to search for something, something that is not missing, on this day every year. I didn’t grow up fasting on Yom Kippur or eating matzos for Passover, having spent my childhood in Soviet Russia where nobody observed any religious traditions. Being Jewish in the world of my childhood meant being harassed for your dark hair and glasses, and for mispronouncing the letter “r”. It meant living in a building that had the grafitti Bey Zhidov “Kill the k***kes” permanently displayed on one of its walls. It meant being denied certain prestigious career positions. It did not mean fasting on Yom Kippur. Judaism for me started when I was at least ten, at the collapse of the Soviet Union, when we started getting gifts from Israel – rattles for Purim, menorahs for Hanukkah, books, stationery, matzos. Judaism meant new and fresh and different and special. Sure, Soviet Jews accepted it as their own very quickly, a little Jewish community formed in our town and started celebrating all the important and less important holidays. It’s as if a dormant software program in their heads suddenly got activated. But still, this was new to everybody, kids and adults. I don’t have memories of my mother doing Passover clean up and sending us to look for chametz around the house like some Jewish families in the US might, and I don’t have memories of singing holiday songs in preschool like my nieces now do in Israel. Our big holiday in the Soviet Russia was the same as everyone else’s: the completely non-religious New Year. It was big like Christmas in the West, minus the Christian aspect of it. That is, we decorated the tree and sang special (non-religious) children’s songs, lit festive lights, ate holiday food, and got presents allegedly delivered and put under the tree by a certain Ded Moroz, the Russian equivalent of Santa Claus. Most Jews of my parents’ and of my generations who made aliyah or emigrated to other countries continue to celebrate New Year. Do I care about this holiday as my own? I am not sure. In my mind it comes accompanied by the same uncertainty, the same unsure here-not-here dance as Jewish holidays. Is it mine? I don’t know. In a way it is more mine than Yom Kippur. I grew up with it, it’s in my muscle memory. I still have the impulse to stay up late on the 31st and wake up on January 1st to run and to search for presents under the tree. The way I don’t have a natural impulse to fast on Yom Kippur because I didn’t grow up with it. I’m a cultural hybrid, that’s what I am. And that’s fine. There is nothing wrong with celebrating the New Year in a completely secular but Christmas-like way (because we’re culturally Russians), while also fasting on Yom Kippur (because we’re Jewish), but I don’t feel that I can do either with a full heart, without this apologetic and unsure attitude like I want to stay in the doorway with just one foot in the room, but not completely go in there. Because I am still searching. What adds a sense of urgency to the search are my kids. If I were alone, I’d have all the time in the world and many Yom Kippurs ahead of me (or none, who knows, it doesn’t matter) to search, to decide, to wait till I begin to feel it. But I have two little kids, who are growing up in this air of unsureness and constant search. I would like to provide them with a sense of stability in the form of traditions (especially since this might be the only source they might derive stability from since we’ve changed four cities and three countries in the past six years). I want them to grow up surrounded by comforting and reassuring rituals that make their world a more secure place. I want them to have it in their bones that we fry sufganiyot and light candles on Hanukkah, that grownups fast on Yom Kippur, that Passover means matzos and no bread. I want to tell them all the important stories so that they could internalize them as their own. To celebrate Rosh Hashanah, and maybe also New Year with the tree, since it is also part of our cultural make up. I want all that, but I can’t bring myself to do that, because every time I approach something, I stay in the doorway and ask “why?” “is it mine?” “am I allowed in?” “do I want to go in?”. I can’t simply fake it while I’m still searching. Last year I brought homemade sufganiyot to the Christmas fair at my son’s school. And it felt right. Two years earlier at the same time of year, he finally stopped singing “Happy Birthday” at the sight of Hanukkah candles. Maybe this year I’ll try not eating bread for Passover without waiting for the right feel. Maybe not. Maybe I’ll fast next Yom Kippur. I can’t provide them with a sense of stability in the form of unshakable traditions because I myself am still searching. But I can take them along for the ride. Tanya Mozias Slavin is a freelance writer, linguist and a mother of two. Her work has been featured on The Washington Post, The Forward, Scary Mommy, Manifest-Station and Brain, Child Magazine, among other places. She was born in Russia, moved to Israel, and spent many years living in the US and Canada working on a Native American language. She now lives in the UK with her husband and two kids. You can find her at www.tanyaslavin.com, Twitter @tanya_slavin, or Facebook.